Why choose Mr Messaging for bulk SMS? Whether you’re looking to send a one off campaign or need a team to manage the entirety of your text message marketing requirements, you’ve come to the right place. Mr Messaging is a leading sms service provider offering customers secure and stable connections to networks in over 190 countries. We aim to provide a full bulk sms service offering at Mr Messaging, and strive to help our clients in any way possible. If you’re interested in working with us please don't hesitate to get in touch, one of our team will get back to you shortly. Are your messages all written and ready to go? Whether you’re looking to send a one off campaign, or manage your overall SMS strategy through Mr Messaging; our platform can do it all. We've got strong, stable connections with networks in over 190 countries and can provide reasonable pricing on request. Looking for support prior to getting started? 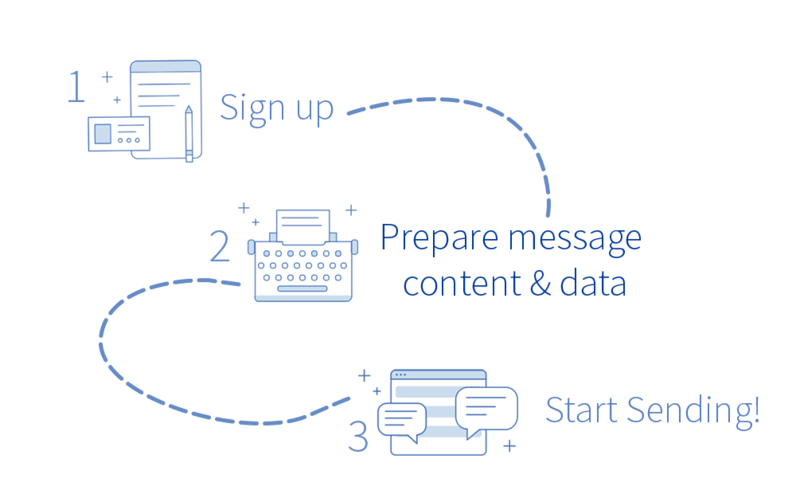 Looking for answers to questions about sending SMS as a whole, or need a little guidance in writing your first SMS campaign? We've got both technical and marketing professionals working behind the scenes to assist our clients with all of their SMS requirements. Are you an SMS aggregator looking to build new relationships? We're working direct with networks as well as with other aggregators to offer our clients world class routes. If you're interested in partnering with us, whether you're looking to expand your own service offering or have some routes that may be of interest, then we're all ears.